decoration on your buffet table! 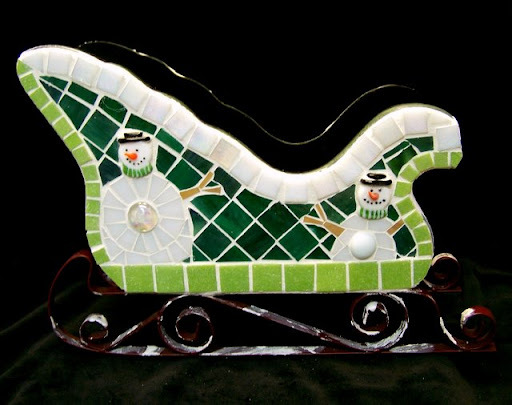 with a mosaic sled or sleigh...or perhaps a beautiful Christmas serving tray. And what fireplace mantel would be complete without a holly-leaf mosaic obelisk? Contact me for a custom piece. I have a few beautiful finial blanks just waiting to be covered with gorgeous glass mosaic!